Shake Shack's Sansom Street location in Center City Philadelphia. Diehard Philadelphia Phillies fans will have a chance to score free tickets from Shake Shack on Thursday morning. The burger chain will give out vouchers, starting at 11 a.m. Thursday, that are redeemable for tickets to one of four games in April. Shake Shack's new location at Citizens Bank Park debuts on Opening Day when the Phillies play the Atlanta Braves on Thursday. At all three Philadelphia Shake Shake locations (plus the location in Marlton, New Jersey), the first 100 fans to arrive in Phillies gear will receive vouchers for tickets. The company initially said the offer will be contingent on the purchase of a ShackBuger, but later clarified that no purchase is necessary — just the Phillies attire. If you're there anyway, a ShackBurger is about $8 if you want to get some lunch. Each voucher will be redeemable for two tickets to one of the following games: April 8 versus the Washington Nationals; April 10 versus the Nationals; April 15 versus the New York Mets; or April 17 against the Mets. The Nationals games will be in high demand as Phillies newcomer Bryce Harper takes on his former team. 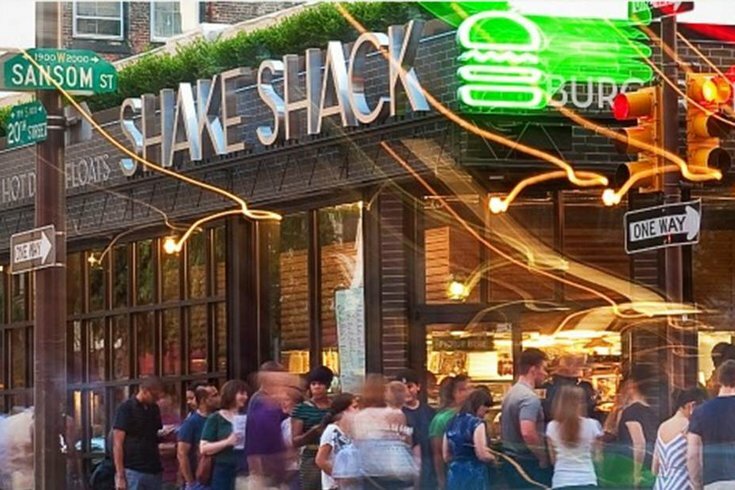 Shake Shack has locations in Philadelphia at 2000 Sansom St., 3200 Chestnut St. and 105 S. 12th St. The Marlton Shake Shack is located at 321 W. Route 70.